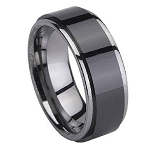 Due to their lightweight and durable properties, ceramic wedding rings are the ideal choice for men. 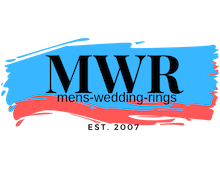 Withstanding the majority of scratches and minor damages, a ceramic ring is great for men who are not used to wearing rings. With an innovative collection, we surely have the perfect ceramic wedding ring for you or your future husband. With a true to size fit, its important to be properly measured for our ceramic rings. Adopting the correct size and fit will ensure you get the best possible feel from our collection. Ceramic ring popularity is increasing daily, due in many respects to the innovative technology used in creating these stylish and elegant rings. Extremely versatile and a trans-seasonal material, ceramic mens rings retain a bold and shiny color, making them stand out from the crowd. One of the most important points about our rings is where standard metal rings are forbidden for safety reasons in many jobs, ceramic rings are not. Our selection is 100% scratch proof and will retain its shiny finish for life. Made from high grade ceramic, we carry many styles for every need and desired look, from one color rings to more intricate, dynamic designs, we've got it covered. Whether you prefer an all over polished finish or a subtle satin finish, our rings are less expensive than a traditional wedding ring. Your ceramic ring will hold its deep color and provide a comfortable fit like no other. A game changer in regards to innovative wedding rings, choosing a ceramic ring allows for more choice and versatility in your jewelry. If you're looking for an on trend ring that provides style, comfort and durability, a ceramic wedding ring is for you. Don't hesitate to browse our collection or to contact us with any questions about our modern selection of stylish mens ceramic rings.